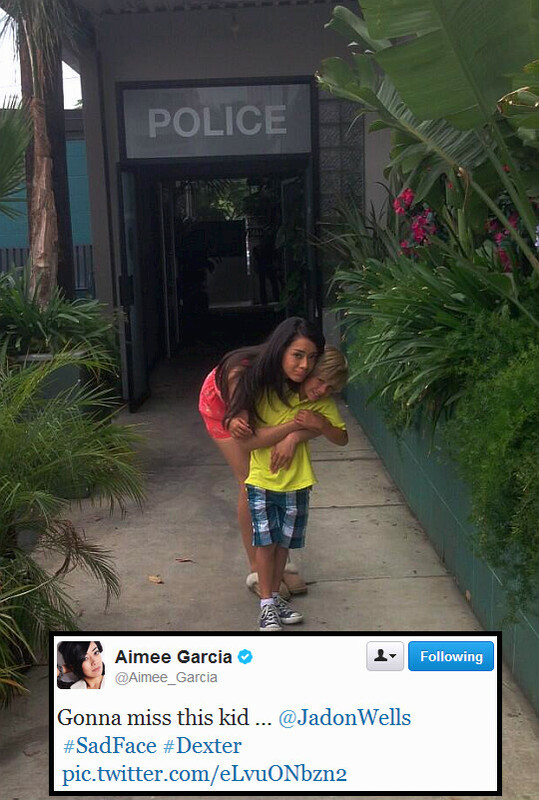 Dexter co-star Aimee Garcia tweeted the above photo from the set of the final season of Dexter few minutes ago. The penultimate episode of the show is still in production, and today it's the read-through for the last episode ever. Things are getting emotional on the set now that the end in nigh.